Question: We are both in our upper sixties and retired. Last October, we put money down on a condominium apartment that is to be completed around September of this year. We put down ten percent of the price in cash and the money is earning a modest amount of interest until settlement. We have some savings, but the balance would be paid in cash from the proceeds of the sale of our present home. Although we believe the price of the condominium has gone up slightly since we signed the contract, we now have serious thoughts about apartment living and about putting most of our resources into this transaction because of some new and serious health concerns. Is there any way we can cancel our agreement and not lose the down payment? Answer: The lawyer in me says that a contract is a legally binding document that must be upheld. The humanitarian in me suggests that, at the very least, you should try to get out of the contract, especially with the facts you have described. First, review the terms of the contract very carefully to determine your rights and responsibilities. Are there any contingencies in that contract, such as your ability to obtain financing or the necessity to sell your house? If any of these contingencies legitimately cannot be met, it is possible you have the legal right to declare the contract null and void. Next, determine whether the contract can be assigned. Although most developer contracts are not assignable, it may very well be that you have the right to sell your contract to someone else. And even if you do not have that right, it never hurts to ask the developer. For example, if the contract is for $100,000 and the market value now is $110,000, if you have the right to assign that contract, you may find someone who would purchase your contract for the contract price — or even a few thousand dollars above the contract price. The person who buys your contract would be obligated to follow through on all of the terms of your contract. In effect, the buyer would be stepping into your shoes, assuming all the rights and responsibilities you presently have. As I have indicated, although most developer contracts do not permit such assignment, it is worth looking at this aspect of your contract. Next, do not hesitate to discuss this matter with both the real estate firm representing the seller and try to speak directly with the seller. Explain your situation. They may be sympathetic. If the market for your condominium is anticipated to be strong, the seller-developer may be able to make more money by reselling the property to someone else. Finally, you may want to consider buying the property and then trying to sell it yourself. 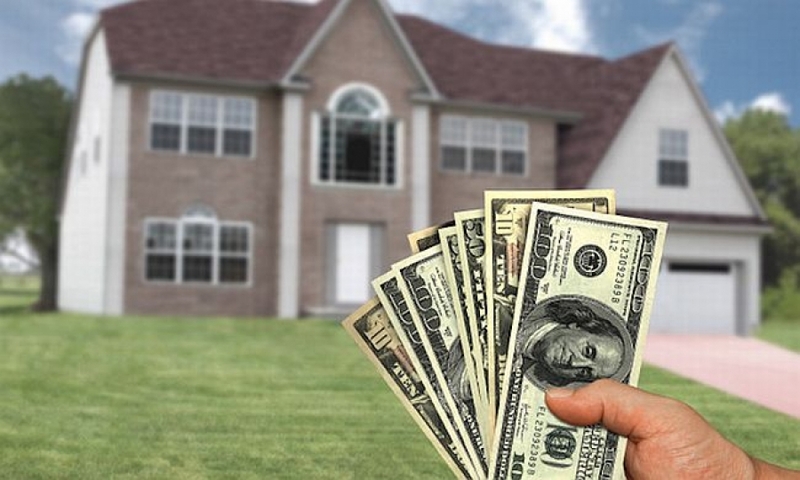 Unfortunately, this is risky because there never is any guarantee you will find a buyer quickly and the duplicate settlement costs, financing charges and other settlement-related matters may not make the dual sale worthwhile. You may also have to pay a real estate commission for that second sale. Realize that until the developer has sold most, if not all of the condominium units, you are competing against the house. And as we know, the dealer always wins. You indicated you have put down a deposit of ten percent and you do not want to lose the money. However, there are times when a buyer would prefer to walk away from a transaction, lose the money and avoid subsequent aggravation. Peace of mind sometimes cannot be measured in terms of dollars and cents. Although I cannot recommend forfeiting your deposit, if this is an option you are willing to consider, make sure you discuss the situation with the seller before deciding. Sign a release and have the seller sign it also. You want to make sure that, if you forfeit the deposit, the seller can not sue you for damages. This will be spelled out in the sales contract. Suing for specific performance, in effect, asking the court to require you go ahead with the transaction. Suing for damages if there are substantial monetary damages involved as a result of your failure to live up to your part of the contract. For example, if the seller has to resell the property at a lower price than your contract price, this would be the measure of damages. Electing to retain the deposit as the only remedy. Remember, if you decide to forfeit, make sure the seller agrees, in writing, that the only remedy will be the forfeiture of the deposit. This may also be spelled out in the form contract you signed. Although I recognize that conditions often change and new circumstances often arise after a contract is entered into, it must be pointed out that, in most cases, the time to decide whether you want to purchase property is before you sign a contract. After your signature is on the contract and you have given some money down as a deposit, you are legally bound to comply with all the terms and conditions of that document. Your fate basically depends on how the developer reacts to your situation.